I'm not a fan of paying a lot of money for decorations that are used all but once a year. Matter of fact, I prefer to use the great outdoors and some really cheap craft items to help me decorate for the holidays. My husband, bless his soul, takes care of all the exterior holiday light work. The man is pure genius when it comes to light scapes. 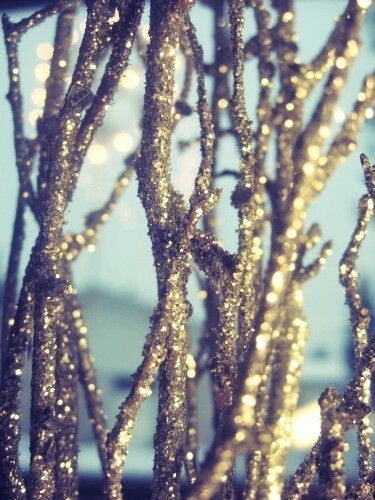 This leaves me handling the interior decorations, minus the Christmas tree (light strands and I do not get along). Below are some inexpensive holiday craft ideas to get you started on the road of holiday decorating with frugality. 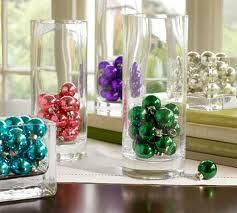 If you have bulb ornaments and a one or so empty flower vases, these make for quick decorations. Stores such as The Christmas Tree Shop sell inexpensive bulb ornaments, in addition to glass vases if you don't have any already. Who doesn't have a few pine cones laying in their yard? Simply clean the pine cone gently with a cloth to remove any dirt or debris, spray with adhesive (found at craft stores) and add glitter. 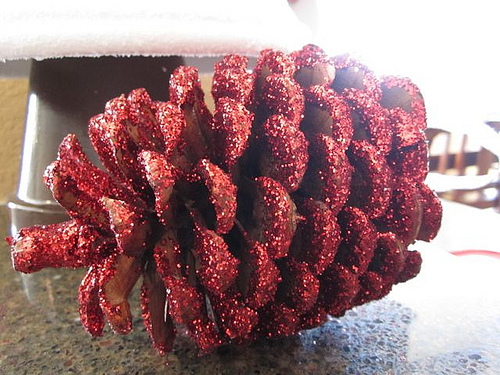 I usually use a large plastic container to put the pine cone in, add glitter, and shake it-this ensures an even coating of glitter. You can use these as ornaments, place them in a basket for a centerpiece, put them in a vase (instead of ornament bulbs), hang them around the house, or if you are brave enough-have your children decorate them and give them to family as homemade holiday gifts from the kids. I typically avoid mixing glitter with children, it never ends well. Old School, affordable, and super easy! 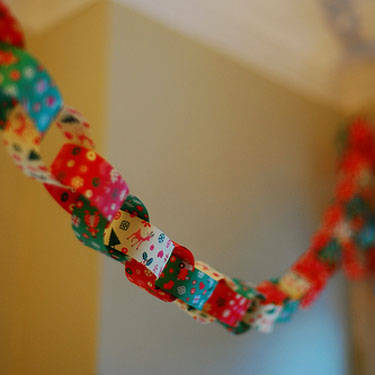 It can't get any more frugally fantastic than paper chains! Simply cut paper of your choice into 1" strips, pull one together end-to-end and staple. Next, take your second strip of paper and intertwine with the first loop, pull together end-to-end-repeat this process over and over until you have one big strand! I fancy alternating Christmas print paper, with a solid metallic paper such as gold or silver. Another back-to-basics decorating idea. 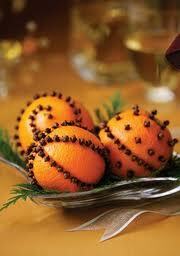 All you need is oranges, cloves, creativity, and some ribbon if you so desire. And the smell, just plain heaven! The above ideas are just a few of many. You may already have most of the craft items needed for the above ideas, which ends up saving you even more money! 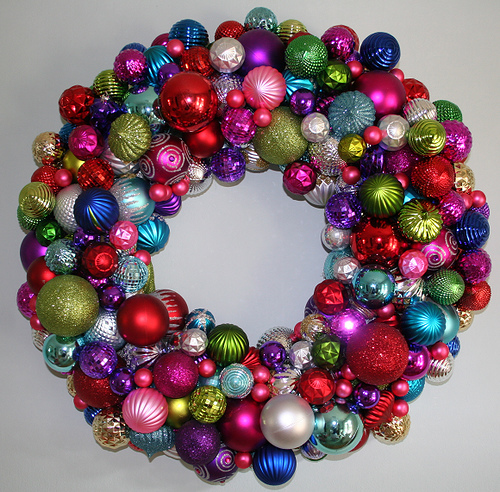 What are some of your DIY holiday decorating ideas? I would love for you to share on my website The Savings Momma!